When heading to the USA, Bupa Travel Insurance recommends Beginning Boutique for States-worthy threads – recognising us as one of Australia’s top boutiques! Woo hoo! With the sun just setting on the most recent Coachella Festival, the travel experts at Bupa are encouraging you to look forward to next year’s line-up and start planning your outfits. The insurance company suggests that our designs are the dream ticket for festival fun – we couldn’t agree more! This unmissable music event is one of America’s hippest festivals. With a picturesque desert backdrop and a host of the hottest musicians from all over the world, it’s bound to gather those sought-after Instagram likes. As a youthful brand with a selection of edgy, but wearable outfits all you need to do is throw on sandals or hi-tops for a day-to-night look when hitting the festival circuit. 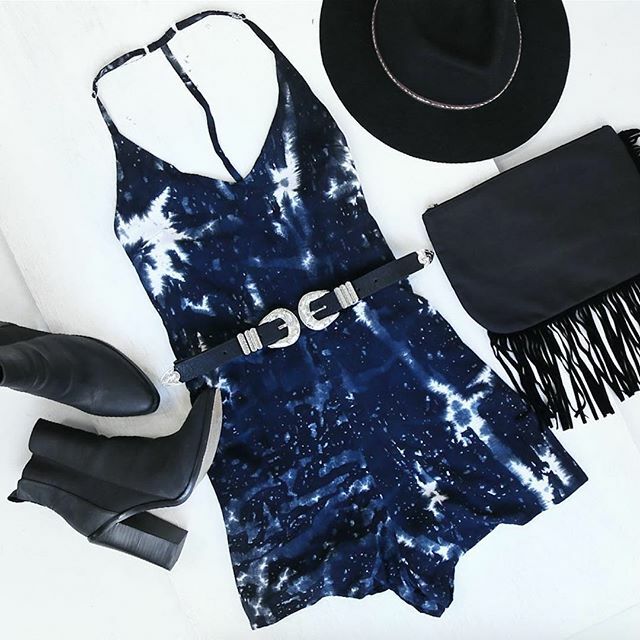 BUPA’s article, ‘Australian Boutiques: Get the Right Look for Travelling’, recommends our Coachella Playsuit, a light-wash denim number that can be dressed up or down. Just add stacked bangles and a fringed bag to nail the festival-chic look, the website suggests. If that’s not your flavour, then go all out retro Woodstock style, in one of our sand-skimming maxis. We adore the La Vie Maxi Dress with it’s cinched waist and button down front. This dress was made for festival fun with it’s light and airy design and eye catching monochrome pattern. Pair with black leather sandals and a matching bag to strut your stuff between stages. We’re in excellent company in this list of illustrious local boutiques by Bupa Travel, which also picks the perfect outfits for the streets of Harajuku or Berlin amongst other hot destinations. Read the article ‘Australian Boutiques: Get the Right Look for Travelling’, to find out what you should be wearing, where. A wide brim felt hat – cowgirl style! A killer belt to tie the look together! Super inspired? Check out all the statement looks from our festival category!